Though poisonous to several animals including humans, eucalyptus leaves are an integral food source for koalas. What happens when the habitat containing this food source is destroyed? Balmoral Mini, a rescued koala at the Koala Hospital. Photo credit: the Port Macquarie Koala Hospital. Cute, adorable, cuddlesome, and loveable. These are just some of the words that are often used to describe the world-famous koala, an arboreal, marsupial species that is native to Australia. However, despite all the love the species receives on a global scale, the real world of the koala is not as charming as the species itself. In fact, in the current times, the koala faces numerous threats to its survival. The story of the patients at the Koala Hospital of Port Macquarie, NSW, Australia, show evidence of this fact. The koala (scientific name Phascolarctos cinereus) is one-of-a-kind animal. It has numerous traits that set it apart from all other species of wildlife. Wild koalas live in eastern and southeastern Australia. Here, they prefer to inhabit areas dominated by eucalyptus species. The koalas are simply in love with these trees. They hardly leave the trees and derive their food and water by consuming the eucalyptus foliage. The moisture content of the leaves satisfies their thirst for water. Koalas sleep for nearly 18 hours a day, all the while clinging to the nooks and forks of their favorite tree! They feed mostly at night and often consume tremendous amounts of foliage, and are even known to store leaves in their cheek pouches for intermittent consumption. Although eucalyptus leaves are highly poisonous for most creatures including humans, the koalas surprisingly remain unharmed by the poison. Koalas are seasonal breeders with births typically occurring from October to May. Being a marsupial species, the female koalas carry their offsprings in a stomach pouch for about six months. Offsprings stay with their mother, clinging to her back or belly, for about a year. Koalas hardly interact socially and lead a solitary life. Despite their slow lifestyle and lack of interference in the lives of other species including humans, the koalas, like other wildlife, have also not been spared by human activities. The IUCN labels the koala as a “vulnerable” species on the IUCN Red List. Despite the significant variation in population trends across its wide range, the rate of decline of the koala population size is estimated to be about 28% over the previous 18 to 24 years. Experts are worried that a further decline in population is inevitable if conservation measures are not adopted in time. He also mentioned that although statistics mention a host of reasons for the death of koalas such as road accidents, dog attacks, infectious diseases, etc., the common underlying stressor causing these issues is habitat loss. Historically, the koala populations were also subjected to another major threat. Commercial harvesting of koalas for their pelts led to the killing of millions of individuals of this species across their range in the late 19th and early 20th centuries. In the future, climate change is also likely to have severe consequences for the koalas. With a decreasing koala population size, there is an urgent need to address the current threats facing the species. 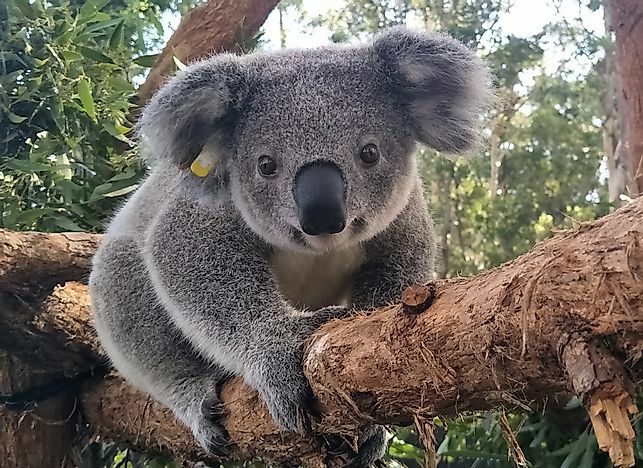 The Port Macquarie Koala Hospital is one of the organizations whose work is creating a positive impact in the lives of thousands of individuals of this species. The hospital, dedicated to the treatment of injured or diseased koalas, was started in 1973 in the Australian town of Port Macquarie by a visionary couple, Jean and Max Starr. They set up the Koala Preservation Society to run the hospital. The Koala Hospital is a licensed wildlife rehabilitation facility that carries out on-site procedures. Most treatment procedures, with the exception of major surgeries and x-rays (which are undertaken at the Port Macquarie Veterinary Hospital), are handled by the Koala Hospital. The hospital also collaborates with various national and international institutions and groups to carry out research on the koalas. The hospital is open every day of the year and allows visitors to take a tour of the hospital to learn more about the koalas. The hospital operates a 24-hour rescue service to collect koalas from many different situations in and around Port Macquarie. The medical histories of the patients at the hospital reveals much about the threats facing the koalas in the present times. Volunteer Mick with Breeza Grant. Photo credit: the Port Macquarie Koala Hospital. Mr. Castle informed us of the common medical issues or source of injuries affecting the koalas that arrive at the Koala Hospital for treatment. It becomes quite clear from the above information that koalas arriving at the hospital are mostly victims of habitat loss which brings them into contact with urban environments where living is dangerous for them. Their normal mode of life is disrupted in such environments and they are subjected to numerous stressful and life-threatening situations as evident from the medical history of the koalas being treated at the Koala Hospital. Treatment of a koala by the team at the Koala Hospital. Photo credit: the Port Macquarie Koala Hospital. Although the koalas are popular worldwide for their plump and fuzzy features, the love and adoration of their admirers are not enough to sustain the koala populations in the coming future. Action is needed to save them. Public participation in koala conservation and large-scale conservation initiatives undertaken by the governmental and non-governmental organizations can help save the species. Driving safely, especially where high koala densities are signposted. Maintaining Eucalyptus and other koala food trees on properties. Watching for koala presence in and around the properties, and making sure that dogs are kept away from koalas wherever possible. “There are also telltale signs of injury or illness in koalas which our tour guides or other volunteers explain to visitors of the Hospital. We have a 24-hour rescue hotline, and are open every day of the year, including public holidays (except Christmas)”, informed Mr. Castle. To learn more about the Port Macquarie Koala Hospital, visit their website here.